It’s been a long time since a new release gave me a frisson of instant joy, longer still since one moved me to write reams of pages upon first sniff. Ensar Oud‘s newest fragrance, EO No 2 parfum, did precisely that. Within moments of spraying, I rushed to dig up a yellow legal pad, my head filled with the story of what the fragrance conjured up, so real that I practically saw the sentences in my head, saw the visions of what the notes evoked. It was a moment of pure olfactory delight, something which has been all too rare for me lately. Ensar Oud EO No 2 — pure parfum version, bottle, and box. Photo: my own. 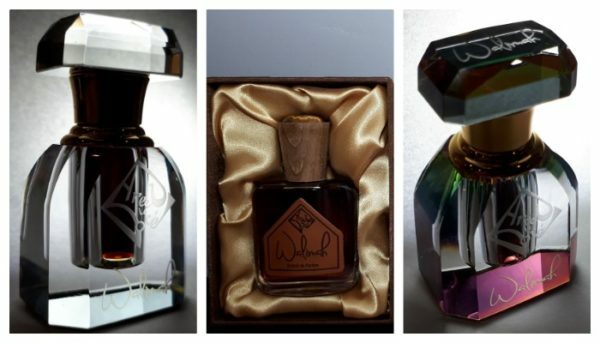 Walimah is one of several brand-new, upcoming fragrances from Areej Le Doré and is intended to be a celebration of love and marriage. It was created by Russian Adam in tribute to “the beautiful union of two souls from different corners of the globe” and their wedding late last year, so it’s quite symbolic that the fragrance’s two versions — a parfum and an attar — act as yin and yang. Although they have the same notes and formula, they are surprisingly different on my skin: the spray is feminine, ethereally bridal and, later, sensuously creamy); the attar casts dark, masculine shadows upon its luminous, radiant, white florals, sometimes shrouding them almost entirely. The attar is not only more complex but it is also a shape-shifter. 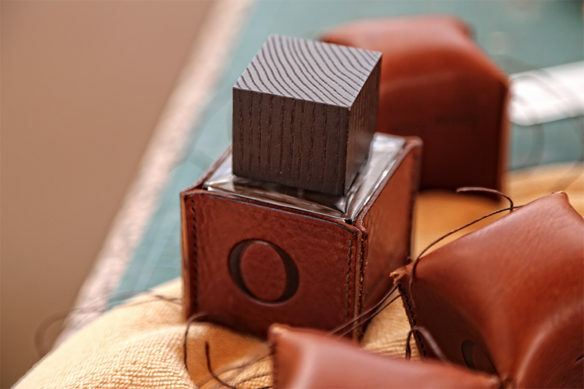 In addition, it is unisex-to-masculine in its character, veering between co-equal unisex elements and an elegantly rugged masculinity that has an occasional animalic growl. I’ve been told that the spray version will eventually age into something closer in scent and character to the attar but, even as they are right now, both versions are striking in their own way. Walimah, attar and parfum. Photos by Russian Adam. Collage created by me.